Hip Hop is a cultural movement expressed through the traditional elements of DJ’ing, MC’ing, various forms of dance and graffiti. 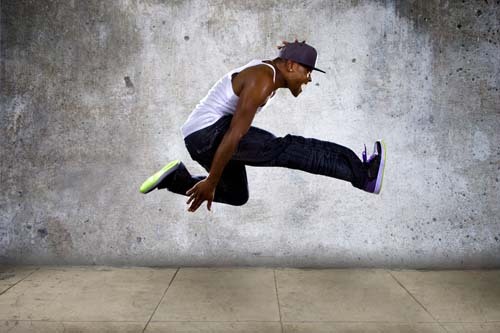 In this class you will learn combined styles of urban dance movement to both old skool and new skool JAMZ! This style combines upright soulful dancing, intricate floorwork and some acrobatics. You will learn by using suggested combinations that will expand your body’s diversity and mind. Who doesn’t need a few tricks in their repertoire? Whether you are a contemporary dancer or a B-Boy, acrobatics will give you the strength, flexibility, and agility to perform both ground and aerial tricks that are sure to wow the crowd. You will learn everything from front rolls, cartwheels, walk-overs, handsprings, aerial… and much more. Contemporary dance is a genre of concert dance that employs systems and methods found in modern dance and postmodern dance, as well as classical ballet. 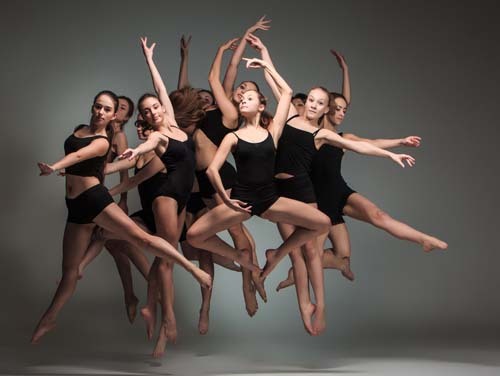 Contemporary dance draws on modern dance techniques as well as newer philosophies of movement that depart from classical dance techniques by altogether omitting structured form and movement. 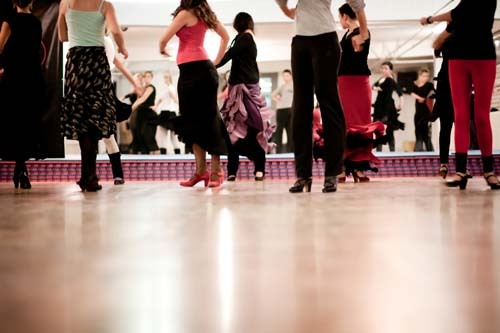 Jazz is commonly taught in dance schools and performed by dance companies around the world. It continues to be an essential element of musical theater choreography, and is often interwoven with other dance styles as appropriate. It focuses on body isolations, stretching, turns, and leaps while continuing to incorporate traditional ballet technique. Tap was developed in the United States during the nineteenth century and is popular today in many parts of the world. The name comes from the tapping sound made when the small metal plates on the dancer’s shoes touch a hard floor. This lively, rhythmic tapping makes the performer not just a dancer, but also a percussive musician. Modern dance is a broad genre of western concert or theatrical dance. It is often considered to have emerged as a rejection of, or rebellion against classical ballet. Musical theater dance is a combination of spoken dialogue, acting, singing and dance. In addition, it is the emotional content of a musical communicated through dance in an artistic fashion. Ballet is a highly disciplined stage art, based on a centuries-old tradition of movement. It is a highly technical form of dance with its own vocabulary. The technique you receive in this class is crucial and we highly recommend that ALL students take this class. Bungee fitness is a fun alternative to traditional workouts. Thanks to the harness and bungee, you can expect a low-impact workout without a compromise in intensity. 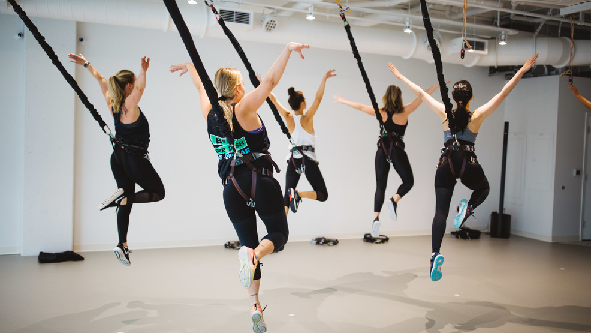 Bungee fitness classes work the entire body with a combination of cardio and strength moves. ** All classes with these two asterisks beside them need to consider this! All students who register for classes above a level 1 MUST be registered for ballet. We have the right to decline registration if this guideline is not met. However, we feel that ALL students must take ballet. Please read on…. 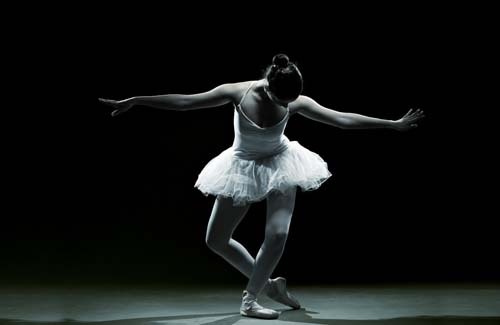 Ballet is the technique that is the foundation for all of the other dance disciplines. 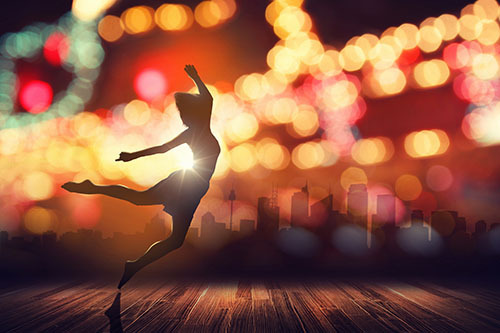 For the serious student who wants to succeed in dance whether it is in jazz, modern, or even tap, ballet should without question be part of the dancer’s schedule. Without ballet technique the strength, agility, & flexibility to hold the beautiful lines that create such an attractive form would not be there for us to enjoy watching. You will notice when you observe our own students in showcase performances that the strongest dancers are the same students who perform in the ballet numbers. Ballet takes the greatest amount of discipline and therefore produces the most disciplined performers.